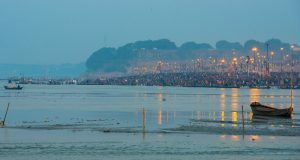 If you are in a country like India, you will feel nothing but lucky to be witnessing world’s richest culture and history. 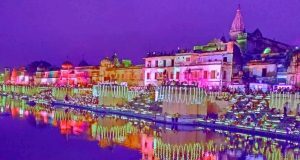 Many Indian cities have some or the other historical places worth visiting, these cities depict the rich heritage and culture we had in the past and the interesting stories associated with it. I learned this fact when I visited one of the India’s most historical city Fatehpur Sikri in Uttar Pradesh. 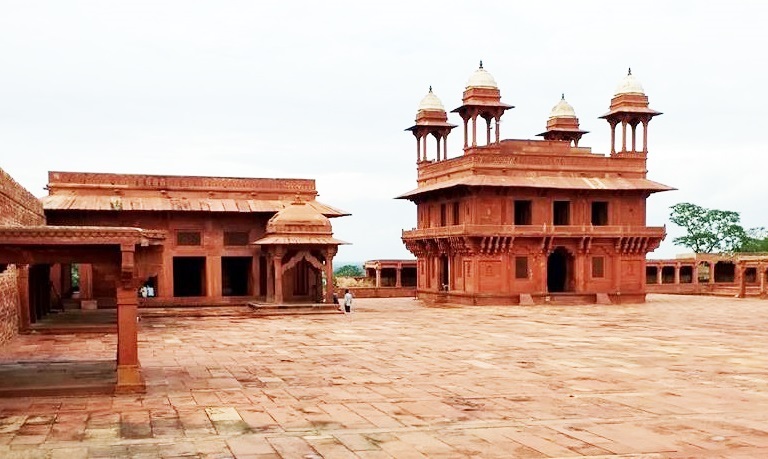 Fatehpur Sikri comes under Agra district, it was once a capital of the Mughal Emperor, Akbar until 1585 when it was abandoned due to extreme water scarcity. Keeping aside the fact that it was abandoned, Fatehpur Sikri is a telltale of the Mughal lifestyle. According to the descendants of some of the former royals to Akbar, Fatehpur was earlier known as Fatehabad which means victory in Persian. Without delaying any further, get ready to be seated in a time machine to the life of Mughals in the 1500’s. One can easily make out the purpose of this important historical place of Fatehpur Sikri by the name; this was once a meeting hall for the inner circle of the Mughal Emperor. This ornate building comes like a dream to my eyes thinking that it was merely built to hold meetings with the private audience of the emperor. It has an intricately carved lotus shaped within the central hall. It is said that the emperor held meetings with religious leaders and masters within the Diwan-e-Khas. Believe it or not, I was most excited to visit the Jodhabai palace ever since I had watched the movie Jodha and Akbar. 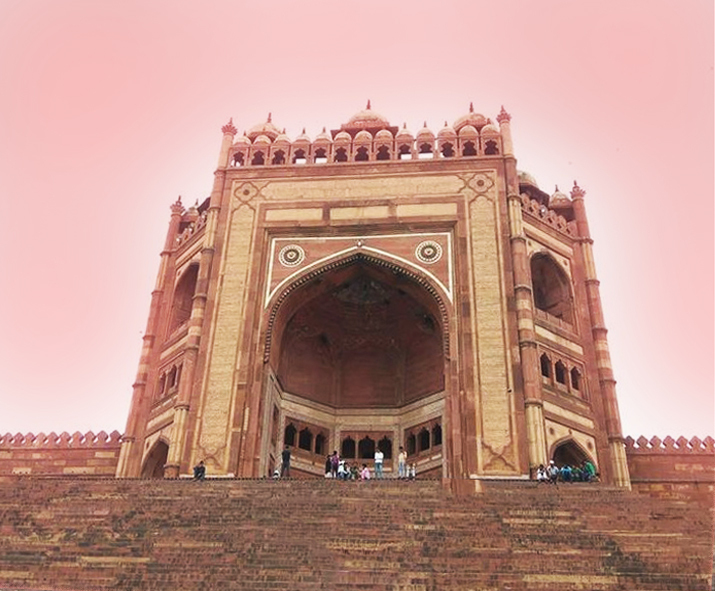 It is one of the prominent historical places in Fatehpur Sikri that cannot be missed. According to what history has to say, the Mughal Emperors were famous for building a private castle for their ladies. Jodhabai Palace is one just palace that Akbar had built for his wife, namely, Jodhabai. This palace is also known as the Mariam-uz-Zamani Palace, meaning the palace of Mughal Queen. Talking about Mughal architecture, the Tomb of Sheikh Salim Chisti is one of the most beautiful Mughal creations. The main building of this tomb is made of marble and intricate carvings on the marble are one of Medieval India’s best carving. 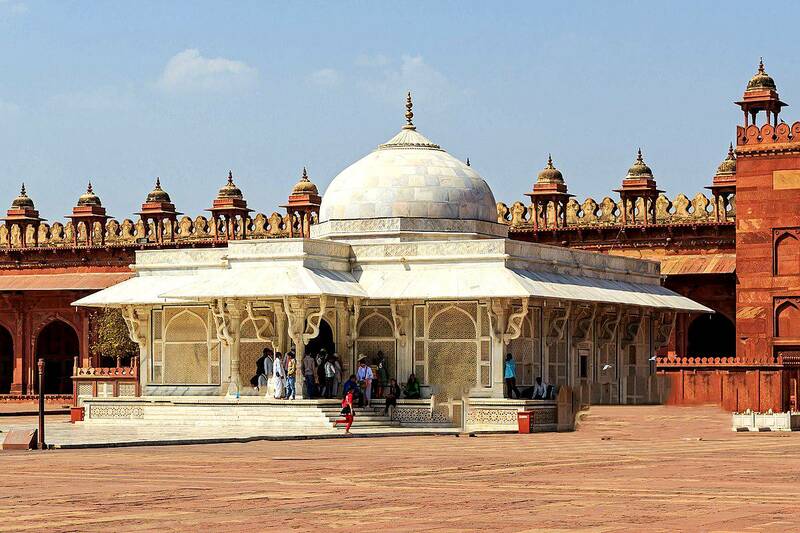 This tomb belongs to a Sufi Saint named Salim Chisti who lived on the outskirts of the Fatehpur Sikri. Salim Chisti is said to be India’s revolutionary Sufi saint. 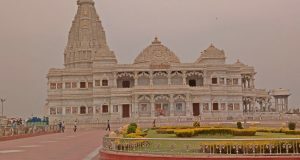 Panch, meaning five signifies the fact that the Panch Mahal is made upto five storey which is supported by 176 columns in a pyramidal structure. The columns are separated by extremely delicate jaali work, which I am sure, is a source of inspiration to what we call-modern day architecture. 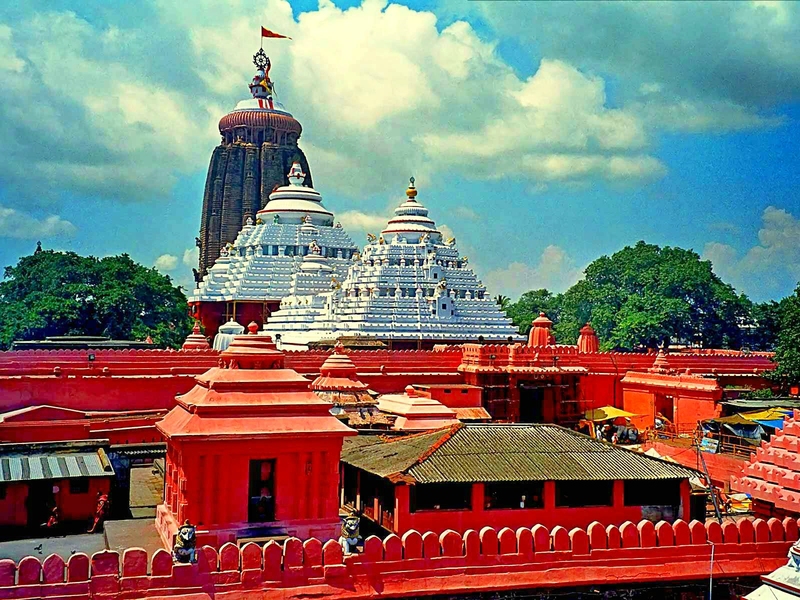 The entire structure is made of red sandstone, even the carvings are done in a thin layer of red sandstone wall. This structure was earlier known as the badgir, or wind catcher tower. This building served the purpose of being the entertainment house where the Mughal Emperor enjoyed dance and musical performances. The Panch Mahal attracts a lot of tourists to Fatehpur Sikri from around the globe because of its architectural beauty. Visit during the evening hours and you shall be lucky enough to witness some talented theoretical performances.